Sun safety for your animals this Summer! Always ensure your cat has a shady area to retreat to on a warm day. Encourage your cats to drink regularly by providing fresh water. Groom long haired cats regularly as they will shed their winter undercoat in time for summer to help keep them cool. Change wet food and litter trays regularly to help keep flies away. Apply suncream to you cats nose and tips of ears to avoid their skin from getting burnt. Never leave your dog in a car, even with the windows open. 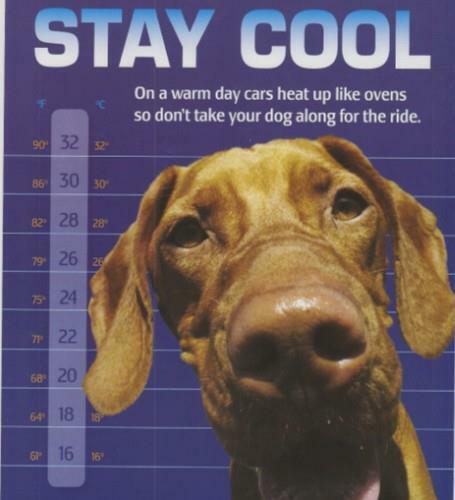 During the warmer months a dog can die in a hot car in less than 20 minutes! Avoid walking your dog in the hottest part of the day, between 12pm and 2pm. Keep long haired dogs cooler by grooming them to get rid of excess hair and clip long haired dogs for the summer season. However, do not shave their hair fully as this leaves the skin prone to sunburn. Make sure your rabbit or guinea pig has an area of shade. This can be provided by covering one end of the run with a towel or blanket. If you have a long haired pet, check their bottom at least once a day to ensure it is clean and free from flystrike. Flystrike is when flies lay their eggs in a pets dirty fur and the warm weather causes them to hatch into maggots. If the infestation is severe, pets can die from the maggots eating their flesh! Make sure fresh water is on supply at all times. If you notice any of the above symptoms, as soon as possible move your pet to a cooler spot, keep them as quiet and calm as possible. Use wet, cool towels to gradually lower the temperature and use a fan if possible. 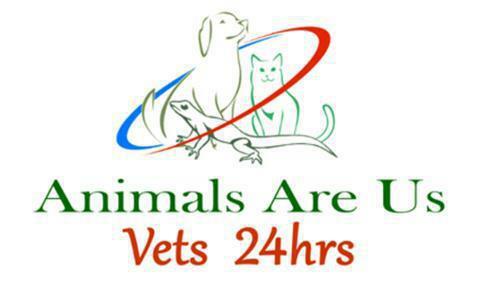 Phone us immediately on 020 8848 1818 to seek emergency veterinary treatment.